Apple may soon be embroiled in a legal battle with Turkey's leading mobile operator Turkcell, as the Turkish company owns the naming rights to pay-television platform TV+, which sounds awfully similar to the U.S. tech giant's new video streaming service Apple TV+. Apple on Monday announced its own TV and movie streaming service, enlisting superstars as Oprah Winfrey, Jennifer Aniston and Steven Spielberg to try to overcome its rivals Netflix and Hulu's head start. The Apple TV+ service, an on-demand, ad-free subscription service, will launch this spring in 100 countries, including Turkey, the company has said. However, the company is soon to face an obstacle in its leap into foreign markets, or its operations in Turkey to be exact, as Turkcell has had its own internet protocol television (IPTV) called 'TV+' since 2014. 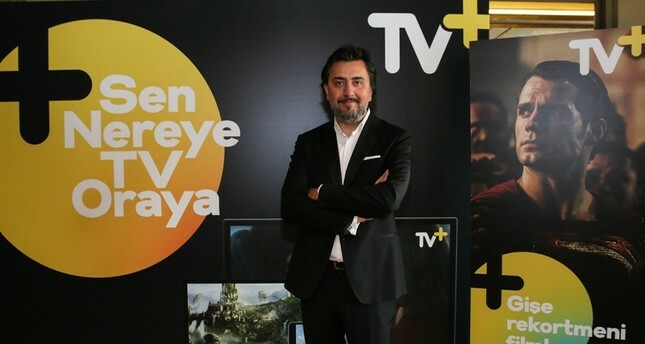 Speaking at a press conference to address the issue on Wednesday, Turkcell's Digital Media and Entertainment Services Director Barış Zavaroğlu said: "We own the naming rights to the TV+ service in Turkey. So when Apple officially enters the market with this new service, it will see that the brand name has already been taken. Even the logo is almost the same, Turkcell writes out TV in uppercase letters, while Apple uses lowercase." Turkcell's domestic digital TV platform TV + was launched in 2014 and first announced by Murat Erkan, the current acting CEO. Erkan was appointed to the position by the board of directors after CEO Kaan Terzioğlu stepped down in mid-March. Turkcell spearheaded GSM-based mobile communications in Turkey when it started operations in 1994. Since then, it has continuously expanded its services based on mobile audio and data communication in Turkey and abroad.